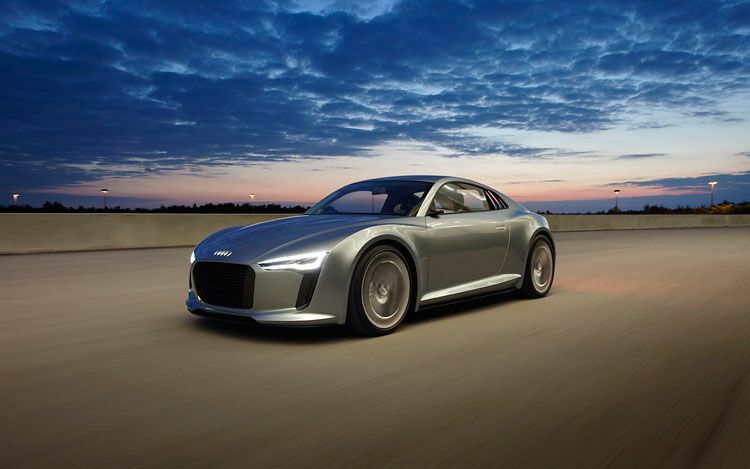 The project for the baby R8 has been given a green light, as we speak Audi R5 is already at the programs first stage, Audi R5 which is inspired by their E-tron concept car, which is a hint showing us some of the things to expect on the real thing. Audi R5 is not going to be TT's substitution but it will rather be positioned on top of the TT and below the R8 supercar, the R5 is a compact sports car with just 3933mm long, it's a simple two-seater just a centimetre and a bit longer than a Lotus Exige. And one of the big thing about this project is that Porsche automakers will also take part on its design, they will be the ones responsible for the platform development of this supercar because of its experience in mid and rear engine applications. And it only means that this new baby will be Audi's first time in years with a rear engined sports car. 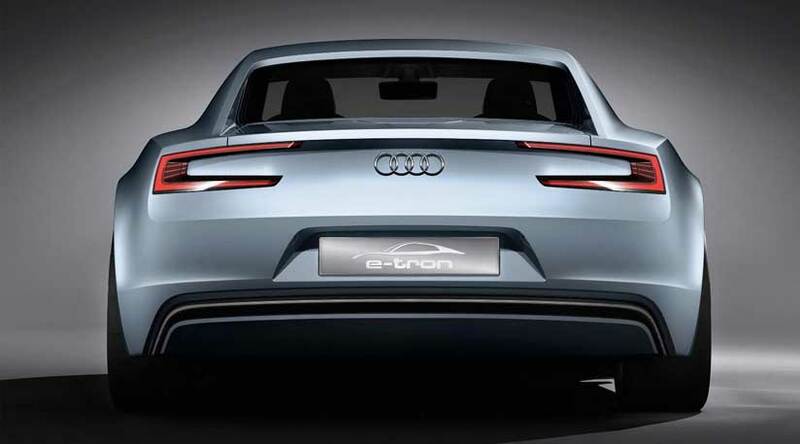 Although the E-tron showed us their technology of an electric powered vehicle, the majority of Audi R5 models will in fact be powered by combustion engines. Rumors say that the top of the line will be powered by a 5 cylinder 2.5-litre turbo engine from the TT RS, that will produce a satisfying 350bhp, on the other hand R5's sub models might be equipped with a 2.0-litre engines further details are yet to be announced. 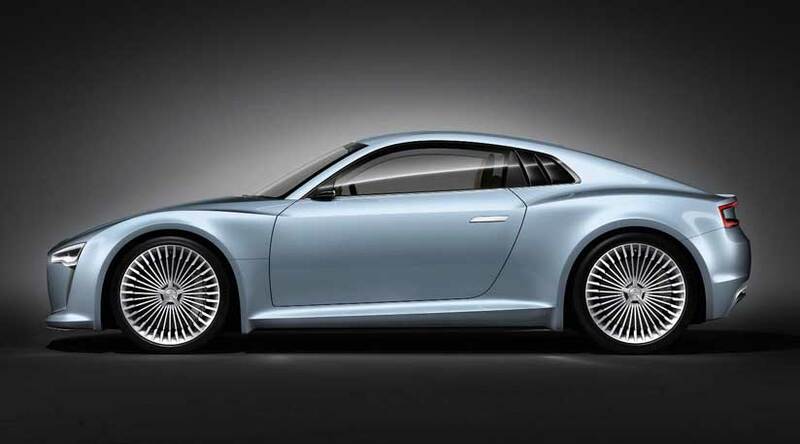 Now that the Audi R5 program is already undergoing, we would expect this car to be launched in 2014.